Scheduling your next Subaru service or repair just got easier. Wilsonville Subaru has a convenient online Service Scheduler giving our guests the freedom to schedule their next servicing appointment at their leisure. Just select the model and year of your vehicle, the services you need, and the time that works best for you, and our experts will be glad to assist you with all of your service and repair needs. Our dealership is located in Wilsonville, OR and we proudly serve the Tualatin, Newberg, Canby, and Woodburn areas. We have certified technicians available that will work to get your Subaru back on the road safely and promptly. Our state-of-the-art service center has the latest diagnostics equipment, and we only use factory OEM parts when servicing your vehicle. Routine maintenance is a vital part of vehicle ownership. Our technicians are here to keep your Subaru in excellent condition for years to come. 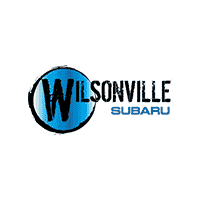 Be sure to schedule your next service appointment today, and see why Wilsonville Subaru is quickly becoming one of the leading Subaru dealers around. Wilsonville Subaru takes pride in being your trusted Subaru dealer. Our experts have years of experience and want to make your time with us a pleasure. Guest satisfaction is our goal, and we are here to assist you in any way we can. While you’re here, visit our well-stocked parts department. We have a wide selection of certified factory parts and accessories that were specifically made to fit your vehicle. And if the part you need isn’t available, our sales associates will order it and contact you when it arrives. Visit us today for more information and to take advantage of our current offers!